Spend your summer in lovely Kew Gardens interacting with the public and opening people’s eyes and noses to the delightful world of spices! Are you energetic and love talking to the public? Are you interested in art, science and spices? The Center for Genomic Gastronomy are creating a new Spice Mix Super Computer for Kew Gardens. The interactive installation will be open starting May 21 and will run through early September. We are looking for people to run the day-to-day operations of the installation, greeting the public and guiding them through the experience. No specific prior experience is necessary, as you will receive training from us in mid May. However, previous experience in the service industry is a benefit. This role is suitable for students or anyone else looking for engaging part-time work. The installation will be open 6 days a week, and individual mediators can work for up to 4 days a week, in either 4 hour shifts or 6 hour shifts between 11.30am and 6pm. In addition, there are a few late night events throughout the summer. You are energetic, you love talking to people, you like to learn new things, you are responsible and punctual, a good communicator, tidy and willing to problem solve on the spot when necessary. You are okay with working both indoors and outdoors and working on your feet. – The mediator is there to guide the visitor through the experience. 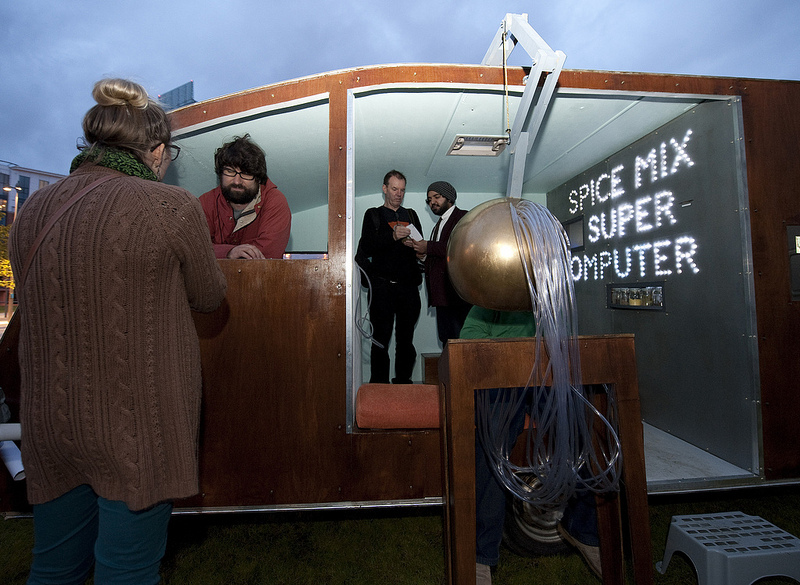 This involves talking to the public in a natural and welcoming way, and engaging them in conversations in topics relevant to the installation (spices, computers, art, science). – As well as engaging with the public, your job will be to manage them, maintaining a safe environment. – The mediators will set-up and shut-down the installation at the beginning and end of each day. This will involve cleaning, turning on and off electronics, making sure everything is operational and troubleshooting any technical issues. – We will provide training in communications and public engagement to help you communicate effectively with the public and manage the installation. – You should be responsible, organised and tidy. – Service as the contact person for the mediators and the main point of contact with Kew staff. – Create and manage work schedules, resolve conflicts and be ready to stand-in as a mediator if necessary. – Ensure that all materials are in stock and re-ordered when necessary. – You will work at the installation, in addition to performing administrational tasks. – Serve as lead communications liaison with Kew Gardens staff throughout the festival. Contact Cathrine Kramer at info@genomicgastronomy.com for more details or to apply. – availability between May and September to. – Also specify if you are interested in being the lead mediator.